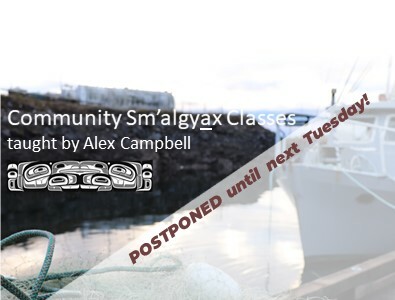 This week’s Tuesday night Sm’algyax class is cancelled, and will continue next week. Tonight there is a Lax Kw’alaams Integrated Resource Management Presentation from 5:30-8pm at the Highliner Plaza. We’ll be back again next week! 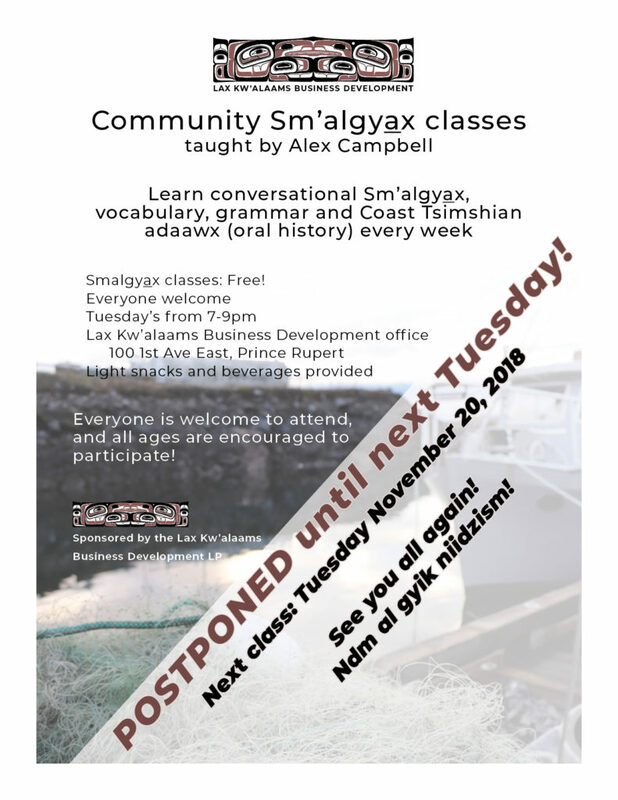 If you’re interested in learning everyday, conversational Sm’algyax, we’d like to encourage you to come out to next Tuesday’s Sm’algyax class! Everyone is welcome to attend, and all ages are encouraged to participate! Sponsored by the Lax Kw’alaams Business Development LP.